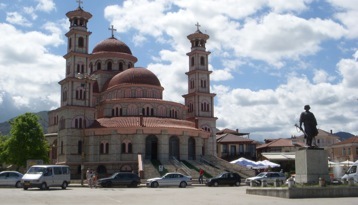 Crossing the Border and Visiting Korca—Albania. Tuesday I left Ohrid and took the bus down to the border to enter Albania. There are no buses crossing the border so I hitchhiked and caught a ride all the way to the border town of Pogradec. I only stayed one night and moved on to Korca, a town known for their own beer brewery. 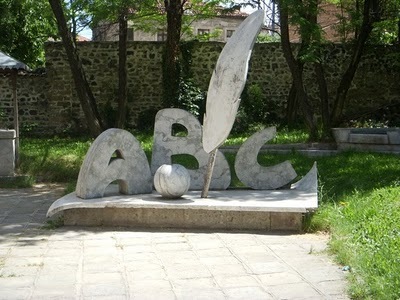 This picture is from the Education Museum in Korca. Pogradec is nothing to speak of even though the town is built on Lake Ohrid, and the energy change was a big difference, I cannot think of any border towns I really have liked. The people here are very nice and it is more Ottoman/Turkish/Islamic culture, but not much english is spoken. Everyone around the Balkans whom have not visited Albania have a miss perception about the reality of Albania. Mostly because many Albanians will go out of the country for work but their behavior is inappropriate because of the difference in the cultural mind-set. 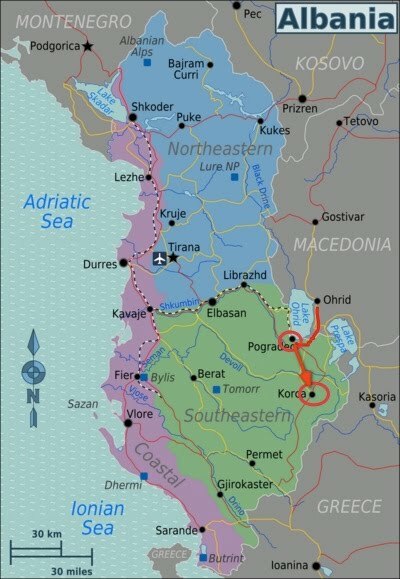 From Greece, Bulgaria, and Macedonia the atmosphere and cultural energy is significantly a contrast here in Albania. The only thing is that the food so far is quite poor, lots of fast food. I am not referring to western companies, the fast food is more Gyro type of food. But one thing can be said here in Korca there sure are a lot of pretty girls walking around. It is strange that many of these countries are packed with people in the streets. Yet, back in America you would never see this, I can remember driving around the neighborhoods of Minneapolis and no would be nobody out, the concept is related to the infrastructure. I will keep heading south and then back north. 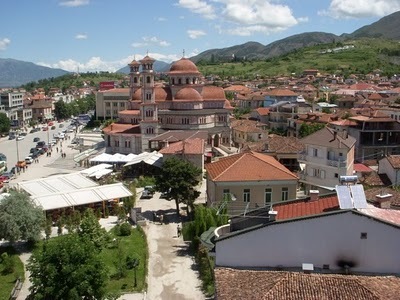 Macedonia, Albania… very special places! Wow! Hope to get there one day! Happy travels! We have started a travel blog competition to win two nights in Meknes in Morocco. Why not nominate your blog ? Next post: Gjirokaster and down to Sardana.